Spending a total of twelve years working on the films, it was Alan’s job to help create the distinctive “look” of Middle Earth. He was involved in all aspects of the design of the films – particularly with the miniatures, sets and visual effects – and in 2004 he received an Academy Award for his work. Alan produced, ‘The Lord of the Rings Sketchbook’ which gives an insight into some of the working processes involved in both book illustration and designing for film. Please note: This Talk and Q&A will take place in the Assembly Rooms (around the corner from the Town Hall). 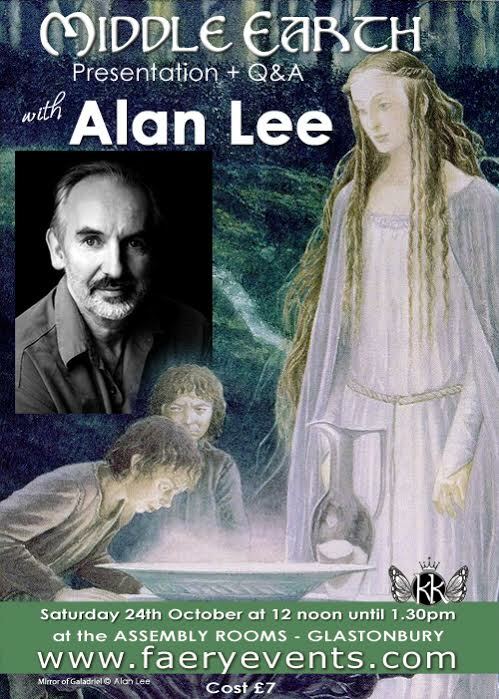 Alan Lee will also be at the Fayre during the daytimes to chat and sign books etc. The workshop takes place on Saturday 24th October from 12 noon until 1.30pm approx and the fee is £7 per person.